1. Intorduction:Blade Barbed Wire, also known as blade Barbed Wire , razor wire mesh, is a new type of mat. 2.Advatages: has good effect to deter,construction is convenient. economic and practical superior characteristics. 3.Application: Mainly used for garden apartment. agency unit. post.,the frontier of the circle of protection. 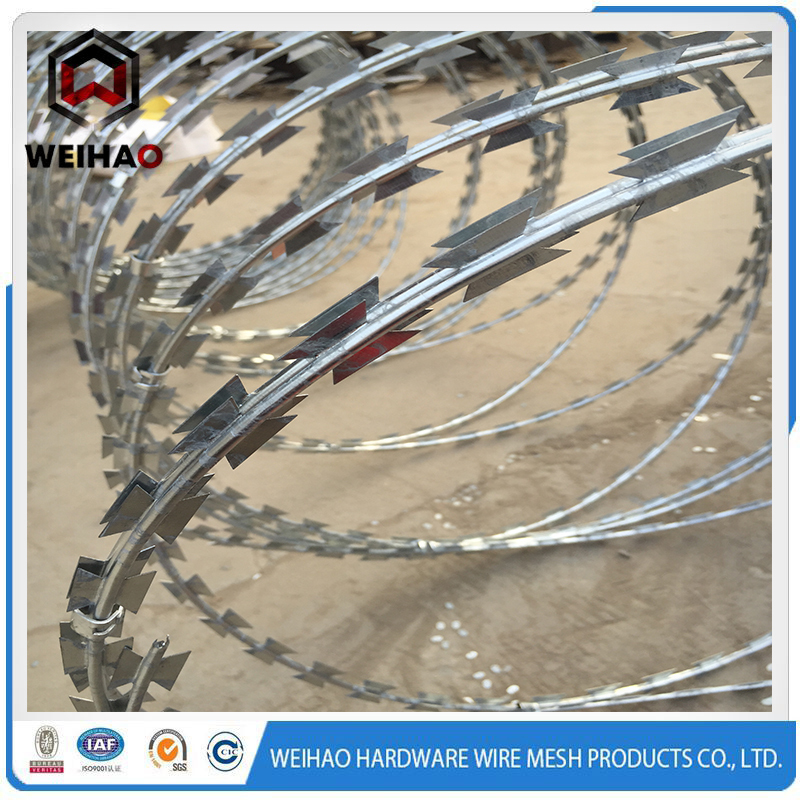 Razor wire by sharp Angle galvanized steel or stainless steel thin blade, high tension wire to wire combination and become block absolutely equipment. 4. Process:due to the distinctive gill net is not easy to touch, and can achieve very good protective isolation effect. 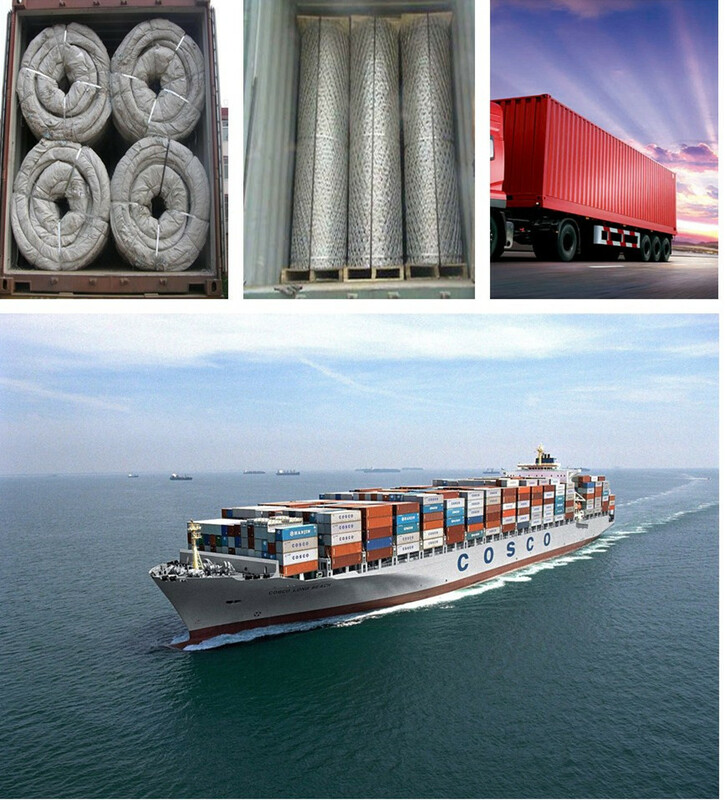 5.Types:spiral blade thorn rope, straight blade thorn rope, flat blade thorn rope, blade barbed wire welding net, etc. 6.Main material: galvanized sheet and stainless steel plate, corrosion means has plating and hot dip. 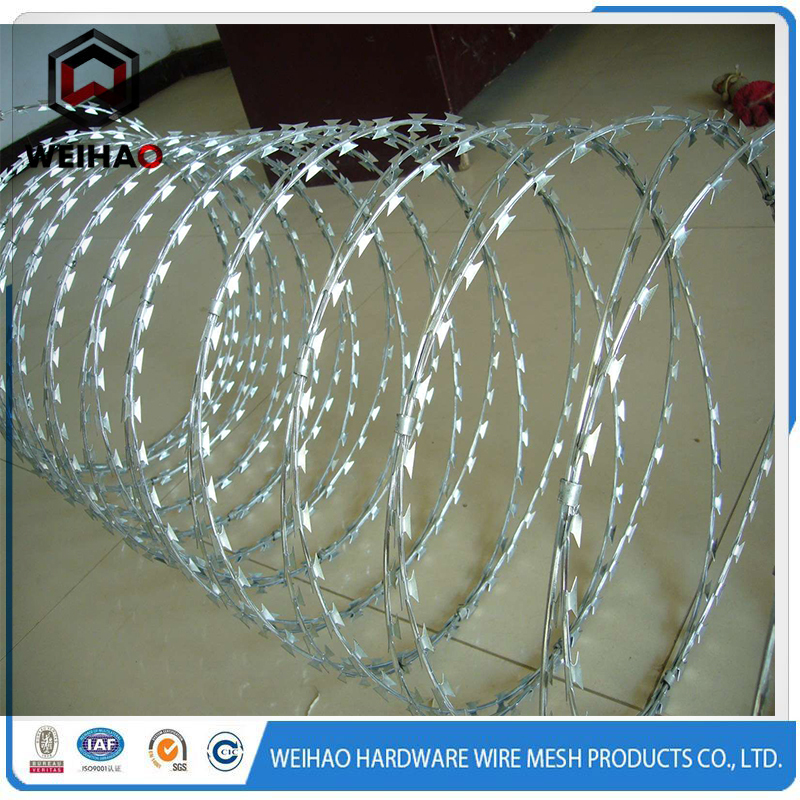 Other name : Razor bared wire, plastic barbed wire, barbed wire, Hot dip galvanized razor wire, razor edge barbed wire, razor wire cbt-60, spiral Razor Barbed Wire, plastic razor wire, razor barbed wire netting, razor barbed Iron Wire Mesh , green razor barbed wire, Concertina Razor Barbed Wire. Looking for ideal Livestock Razor Barbed Wire Manufacturer & supplier ? We have a wide selection at great prices to help you get creative. 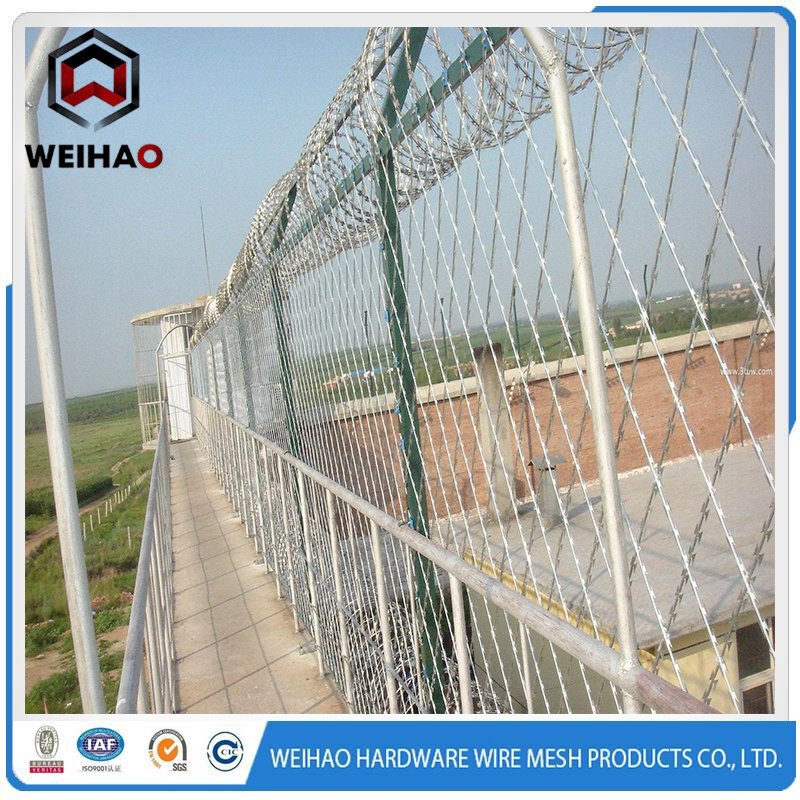 All the Isolation Barbed Wire are quality guaranteed. 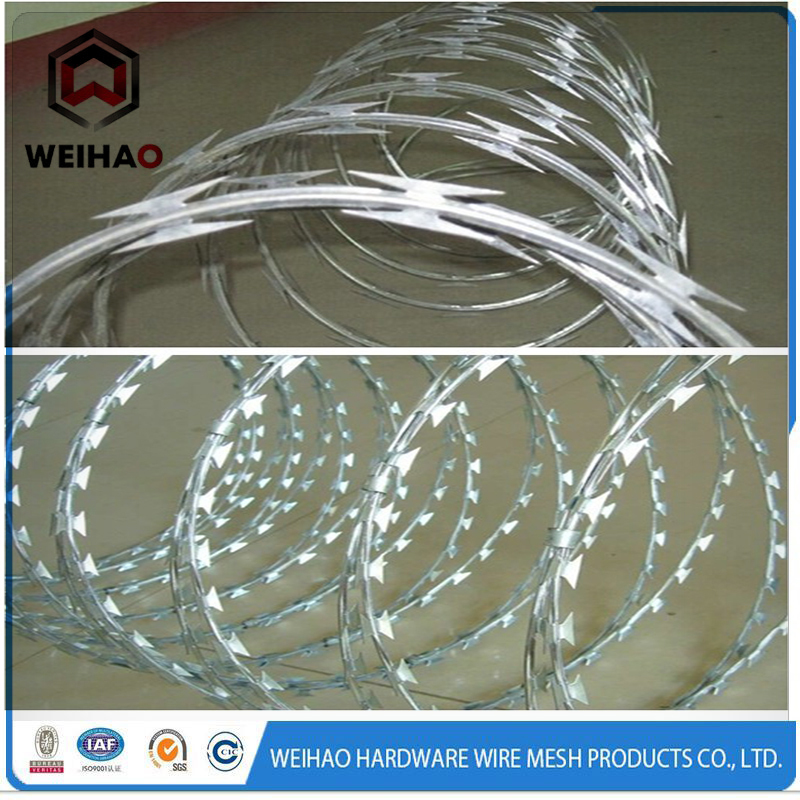 We are China Origin Factory of Hot Dipped Galvanized Barbed Wire. If you have any question, please feel free to contact us.